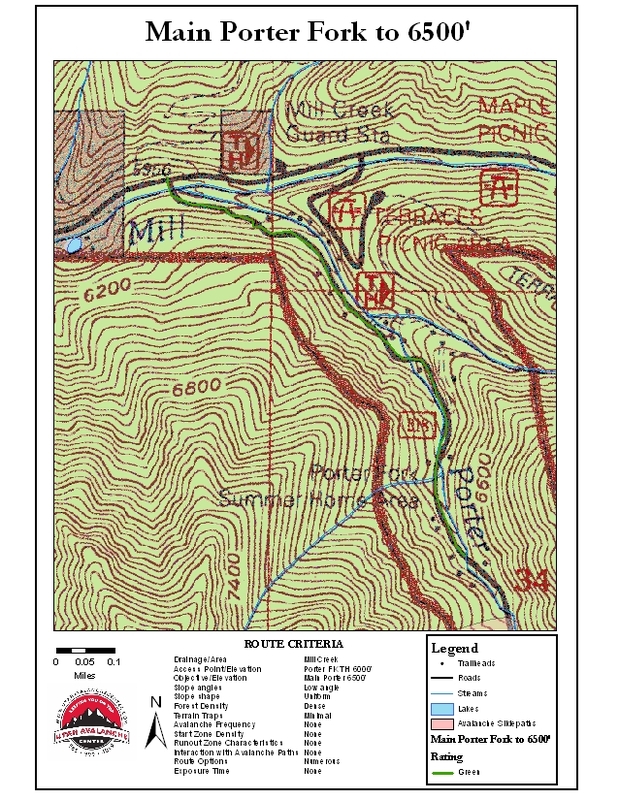 Drive 3.4 miles up beyond the Mill Creek entrance booth and look for the Porter Fork trailhead on the right. An alternative to the route up to the Elbow Fork. Tour a mile up to near the last of the houses in Porter Fork. Touring beyond this elevation will subject the party to the runout zone of the West Porter avalanche path. Dogs are allowed in Mill Creek with alternating on/off leash days – check with the Forest Service for recent policy/schedules. The Forest Service charges a nominal day fee for canyon recreation. Season passes are also sold.